The canal bank footing and garden of a residential property alongside the Grand Union Canal was becoming undermined by boat wash and wave action. Cain Bio-Engineering completed a site survey, detailed design and negotiated consent from the Canal & River Trust (canalrivertrust.org.uk) to undertake repair works. 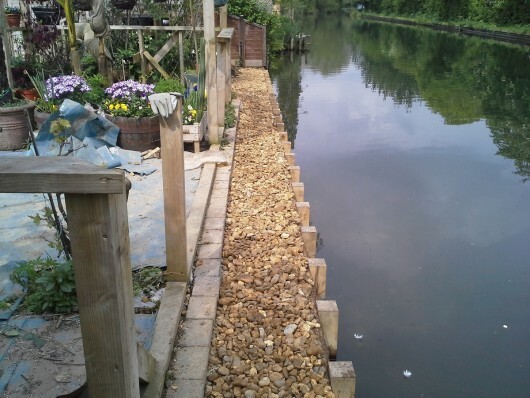 The installation of the new timber, geotextile and gravel filled bank revetment was completed by the Cain Bio-Engineering operations team. The revetment design allows growth of vegetation providing habitat enhancement and is resistant to burrowing from the invasive North American signal crayfish and boat wave action. 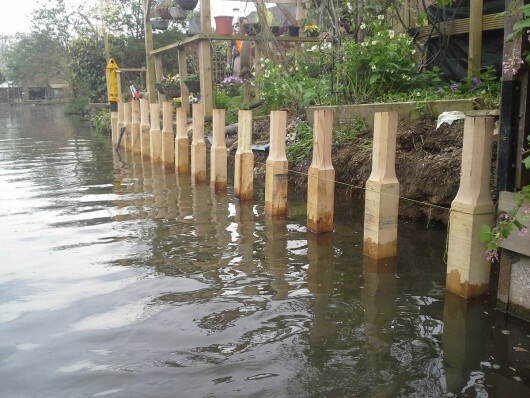 This type of revetment is a proven economical alternative to steel sheet piling. Before Construction: Collapsed timber bank protection structure. 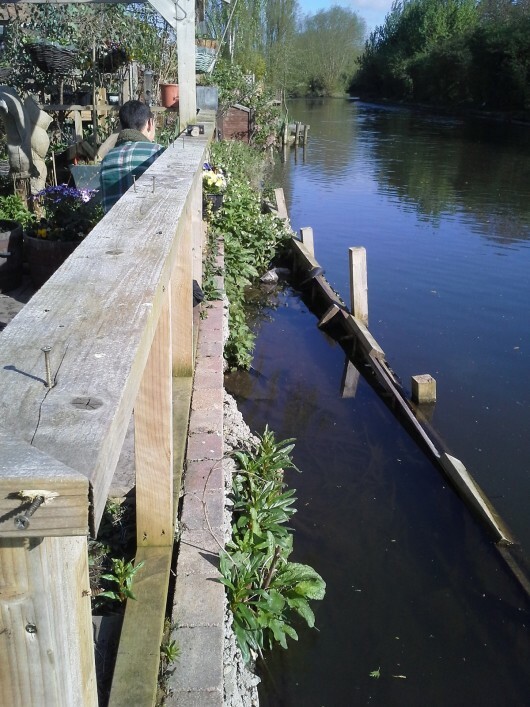 During Construction: Oak posts hydraulically driven into the canal bed for firm embedment. After Construction: Retained geotextile and gravel bank structure.